District Assembly will be held on 7 April 2019 at the Benalla Performing Arts & Convention Centre, 57 Samaria Road, Benalla. This is an important opportunity for Rotarians from across our District to come together, catch up with old friends, make new ones and take on board important information to ensure the success of your Club in 2019-2020. There will be sessions for Presidents Elect, Secretaries, Treasurers and Presidents Nominee together with informative and interactive sessions around Membership, Public Image, Foundations & District/Global Grants, Vocational Service, International Service, Community Service and Youth Services. This is the final element of preparation for the coming year and it is important that as many Board members as possible from each Club attend. The cost for the day is $20 per attendee – this covers morning tea and lunch. Registrations for this event open on 14 March 2019 and close on 2 April 2019. To register for the event, go to the District 9790 home page and follow the links. Payment is by TryBooking. 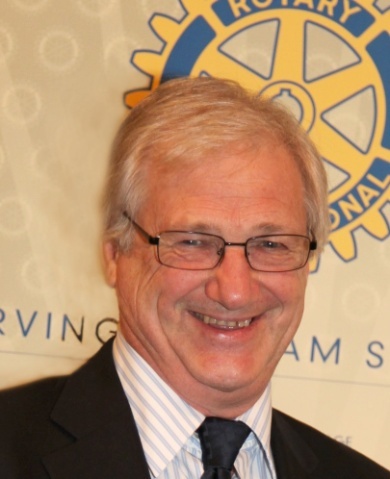 Newer members of Rotary are more than welcome to attend. Foundation and the District Grants Management Seminar will be held on this day. For a Club to be successful to apply for a District Grant in 2019-2020 they must send a representative to this year’s District Grants Management Seminar. Inspire Rotary March 2019 is out now. In 2017-18 the Rotary Foundation raised in excess of US$415 million, primarily through Rotarians, Rotary Clubs and Friends of Rotary. 92% of the annual expenditure goes towards projects and programs aimed at “doing good in the World”. 2% is administration and 6% promotion. The Rotary Foundation has been awarded a four-star rating by the Charity Navigator for eight consecutive years. The Rotary Foundation Rotarians in Rotary International District 9790 are proud of their Foundation and the work that is done throughout the world. We are also proud of the contributions made to our Foundation by the Rotarians, and Rotary clubs in the District. Our annual dinner is a time to celebrate the good works of The Rotary Foundation and the excellent support from the members and clubs. This dinner is open to all Rotarians and friends. Come along and see Past RI President Bill Boyd. See below to book or donate now! Rotex has been a long time coming in our Rotary District, 9790. There has been a select and dedicated group of past exchange students who have been working to create Rotex as a bonafide club in the District. As of these past couple of weeks, all the hard work has paid off! We have become an official Rotary Alumni Association, and the first Rotex club in District 9790. 5 years of past exchange students L-R: Jack Kadaoui (2015), James Richardson (2014), Nicola Gates (2013), Rachael Feldtmann & Gab Jeffs (2012), Sarah McNamara (2011). 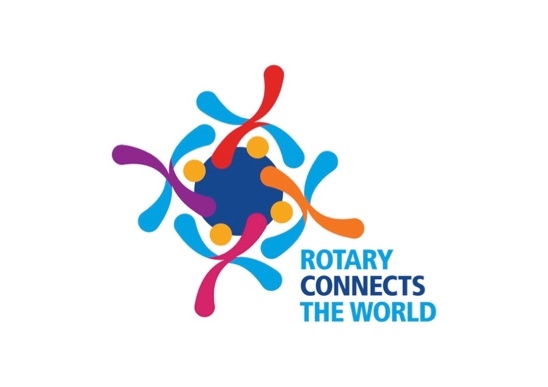 Rotex is a Rotary alumni association that exists to establish and maintain a common bond among Rotary Youth Exchange alumni, as well as to provide past exchange students the opportunity for involvement in Rotary service directly relating to Youth Exchange programs. Rotex is open to all former Rotary Youth Exchange participants who have successfully completed the program, including long term and short term exchange. Have you seen the District 9790 facebook page. If you haven't then check it out. It isn't getting enough use at the moment because you haven't liked it. Check it out and like us so that you are kept up to date with what is going on at District. Welcome to the Rotary 2018-19 year. It is the year when we strive to “Be the Inspiration”. But who will you inspire and who will your club inspire? As a Rotarian, you have the opportunity to inspire your fellow Rotarians, particularly your club members, to maximize their collective efforts to do good in the world. As a club member, you have the opportunity as a team, to inspire members of your community to contribute to your projects and perhaps even join your club and become Rotarians too. Rotary International President, Barry Rassin, talks about the LEAP principle to achieve these goals: Love, Energy, Audacity and Proof. In short, he suggests we must show the love we have for what we are doing and be seen to apply as much energy as we can to our cause. We must have the audacity to be proactive and try new things and we must prove our worth by all rolling up our sleeves and joining in. PDG Bernie’s message for last year was “Happy Clubs, Happy District” and I couldn’t agree more. Rotary Clubs must be inviting and good places to be, for members, guests and members of the community. Club leaders, in particular, should strive to ensure all members feel part of their club, have a role to play and enjoy their membership. I would like to see all clubs strive to increase their productivity this year. “Happy Clubs, Productive Clubs, Happy District” Consider an extra project, be it as a club or perhaps with another club nearby or maybe even a club overseas. Just a small project would suffice. Your reaction to this may be that our club is already stretched to the limit with commitments for the year, but what a great opportunity this would present to seek more members to increase your community service. Above all, make sure part of your club activities this year is to celebrate your achievements both inside your club and also in your community. Let the world know what you have achieved as Rotarians and inspire others to do the same. I thank you in advance for the work you will do this year, your promotion of Rotary as the service club of choice and your efforts to ensure Rotary becomes bigger and better, doing service above self all over the world. Continue your good work in the name of Rotary International and I am sure you will be an inspiration to us all. Welcome to the District 9790 Website! You have to be a Rotarian and a member of District 9790 to login here. There is lots of data and services available if you do login. District 9790 Conference 2020 will be in Albury! Rotary District 9790 shared Being Rotarian's post. Rotary District 9790 shared Rotary International's photo. Rotary District 9790 shared Benalla Rotary Club's post. Rotary District 9790 shared John Webster's post.